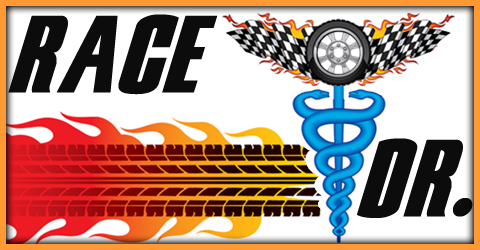 April | 2016 | The Race Dr.
My #5 driver is the #1 hottest driver at the moment, #19 Carl Edwards. Carl is red hot coming off two straight wins and is at a track where swagger is everything. Carl has 23 starts and just three Top 5’s to show for it. He is the hottest driver over the last six weeks and he finished 5th here last fall. My #4 pick got his very first win here, #2 Brad Keslowski. In 14 starts Brad has won here three times, his first win in spring 2009 and again in spring 2012 and then again in fall of 2014. He is 9th in points and 8th hottest. Not bad, but not where Brad wants to be. Look for the #2 car to come alive in Bama. My #3 driver is a two-time former-winner, #48 Jimmie Johnson. Jimmie has 28 starts, the two wins and seven Top 5’s. He comes in here #3rd in points, but #15 hottest over the last six weeks. Most importantly he is my #2 rated plate track driver and very happy to be here where Hendrick Motorsports equipment has been very strong. My #2 driver to watch is another former-winner here, #4 Kevin Harvick. He won in this spring race in 2010. He has 28 starts, that win and six Top 5’s. The important stat though is that he is #2 in points and #2 hottest over the last six races. He has is also my #3 rated plate track driver. The number #1 driver is the winning-est current driver down in ‘dega, #88 Dale Earnhardt Jr. Jr. has 31 starts, six wins and 11 Top 5’s. Dale is the #1 restrictor-plate driver. He is 3rd hottest over the last six weeks, is the defending champion of this race and in the fall he finished 2nd. Monday we’ll preview the GOBOWLING.COM 400 from Kansas. Friday we break down the Top 5 drivers for the Geico 500 from Talladega. Joe Gibbs Racing get the fourth win in a row and remain at #1 for the third week in a row. Team Penske stay at #2 and Hendrick Motorsports hold at #3. Furniture Row Racing moves up to #4. Stewart Haas Racing go back a place to #5. JTG Racing hold strong at #6. Chip Ganassi Racing move up a place again this week to #7. Richard Childress Racing drop down a spot to #8. The Wood Brothers hold at #9. Roush Fenway Racing remain in place at #10. These are the Top 10 Teams, Thursday look for our Top 30 drivers at Talladega Superspeedway. Top 10 on Restrictor Plate tracks, Wednesday look for our Top 10 team rankings for Sunday’s AARON’S 499 from Talladega Super Speedway. This is race ten and the 2nd restrictor plate race of the year. A restrictor plate regulates how much air gets into an engine and therefore restricts or limits how fast it can go. They are only used at two tracks: here at Talladega and at Daytona. Drivers fear these races as they force them to run very close together because the speeds are limited. This is the biggest oval track on the circuit and that often times leads to the biggest wrecks at any track. Drivers (and fans) are all waiting for “the big one” – a wreck that can sometimes take anywhere from one car to half of the field out. When the cars get bunched up like they do here it only takes one car getting loose to start a huge chain reaction pile up. We are only nine races into the season and no one wants to get caught up in someone else’s mistake or misfortune. Many times drivers who know each other will move thru traffic on the track together nose to tail – “drafting” – and with the season just beginning, it will be interesting to see if old alliances stay intact or if new ones are formed due to team loyalties or drivers wanting to hook up with others they think can take them farther. Chevrolet has won 11 of the last 20 races here. Hendrick Motorsports has six of those wins and Richard Childress Racing has three of them. Will Chevy dominance continue? We’ll know on Sunday. Tuesday look for our Top 10 drivers on plate tracks in advance of the Geico 500 from Talladega. My #5 driver is a three-time former-winner here, #88 Dale Earnhardt Jr. Jr. has 33 starts, three wins and ten Top 5’s. Even though his last win was in the spring of 2006 Jr. is my #2 ranked short track racer. He is off to an uneven start this year and is looking for another big finish and I think he has an excellent shot of getting that here. Last September he finished 5th here. The #4 driver has not exactly dominated here, #19 Carl Edwards. Carl did get a win here in September of 2013, but hasn’t been great in Richmond – he only has four Top 5’s in 23 starts. But his team Joe Gibbs Racing has dominated Richmond. Gibbs’ has won seven of the last 14 races here. Coming off of his win at Bristol Carl is #2 hottest. My #3 driver to watch is the winning-est current driver in the capitol of the Commonwealth, #18 Kyle Busch. Kyle has 21 starts, four wins, and 14 Top 5 finishes! He finished 2nd here in September and is 5th hottest over the last six weeks. My #2 driver to watch is #1 hottest over the last six races, #4 Kevin Harvick. Kevin has 30 starts, three wins, and nine Top 5’s. Kevin last won here in this race in 2013. He has seven straight Top 15’s here, helping him to #2 in average finish. The #1 driver to watch is my #1 rated short track driver, but has yet to win a race this season, #22 Joey Logano. Joey comes in here where he has a single win in 14 starts and five Top 5’s. His last four races here have all been 6th place or better.